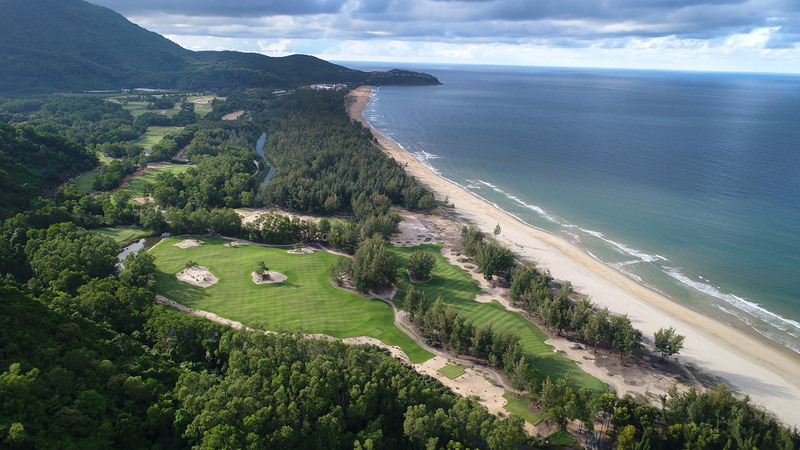 Lang Co Town, Thua Thien Hue Province, Wednesday July 25: Laguna Golf Lăng Cô has created a slice of history by becoming the first golf course in the world to organise two different MercedesTrophy Country Final tournaments within the same year. 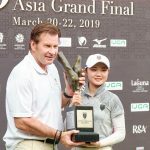 Less than four weeks after staging the MercedesTrophy Vietnam Final 2018, the award-winning Sir Nick Faldo-designed course hosted the MercedesTrophy Taiwan Final 2018. 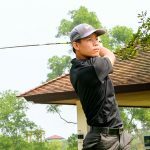 Adam Calver, Director of Golf at Laguna Golf Lăng Cô, said: “In a short space of time, Laguna Golf Lăng Cô has established itself as one of the region’s finest golfing venues. 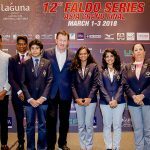 Holding prestigious events such as the Faldo Series Asia Grand Final, the MercedesTrophy Vietnam Final 2018 and Mercedes Trophy Taiwan Final 2018 serves to underline our commitment to excellence. Utilising our various dining venues and providing luxurious beachside accommodation at our Banyan Tree and Angsana Lăng Cô resorts only elevates the event experience. An exclusive series of invitational golf tournaments conducted around the world, the MercedesTrophy has been running since 1989. Each year, some 60,000 players in more than 60 countries tee-off in local, regional and national events, competing to qualify for the MercedesTrophy World Final at the ‘hometown of the three-pointed Star’, Stuttgart, Germany. All group winners from this year’s MercedesTrophy Vietnam Final and MercedesTrophy Taiwan Final progressed to the MercedesTrophy Asian Final 2018, to be held in Brisbane, Australia from August 5-8. 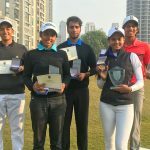 The winners from there will go on to fly the flag for the region at the 28th edition of the MercedesTrophy World Final from October 2-7. 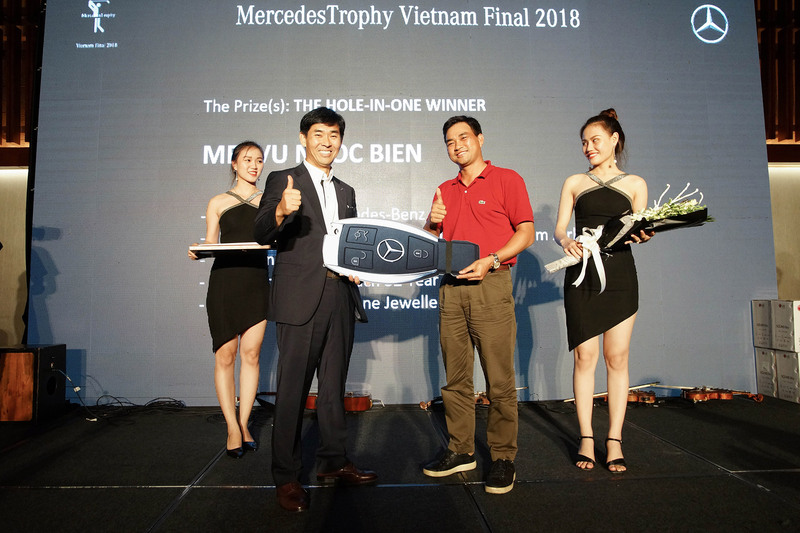 The MercedesTrophy Vietnam Final 2018 (June 3) attracted a field of more than 200 golfers and was highlighted by a hole-in-one at the par-three eighth hole by Vu Ngoc Bien. For his masterstroke, Vu not only won a Mercedes-Benz C 300 AMG, valued at VND1.949 billion, but also a round-trip business class ticket on Vietnam Airlines, an LG 65-inch OLED Television, a set of premium CAO Fine Jewellery and a bottle of Johnnie Walker Mortlach 32. 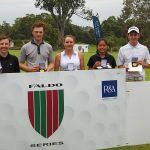 Also with cause for celebration were Ha Ngoc Hoang Loc and Cao Thi Phuong Mai who defied heavy rain and strong winds to post the best gross scores in the men’s and women’s divisions respectively. 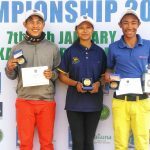 Joining them in the MercedesTrophy Asian Final 2018 will be Le Trong Duc, Nguyen Tu Minh, Mai Dang Khoa, Pham Minh Phong and Nguyen Huu Tho. 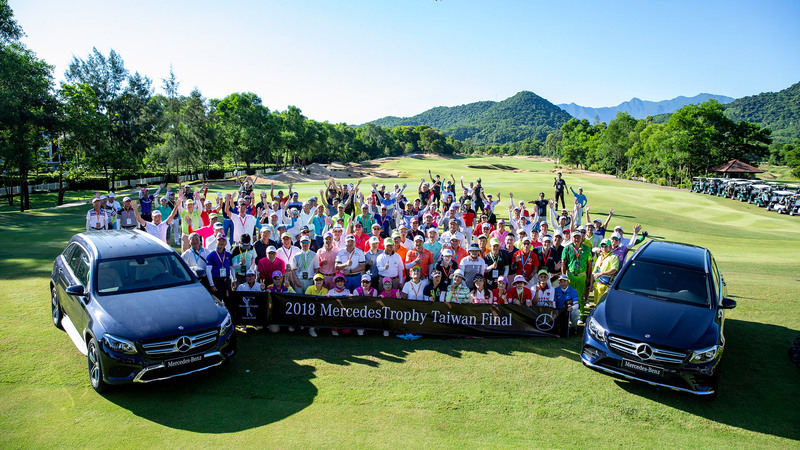 On the last day of June, a field of 128 players participated in the MercedesTrophy Taiwan Final. 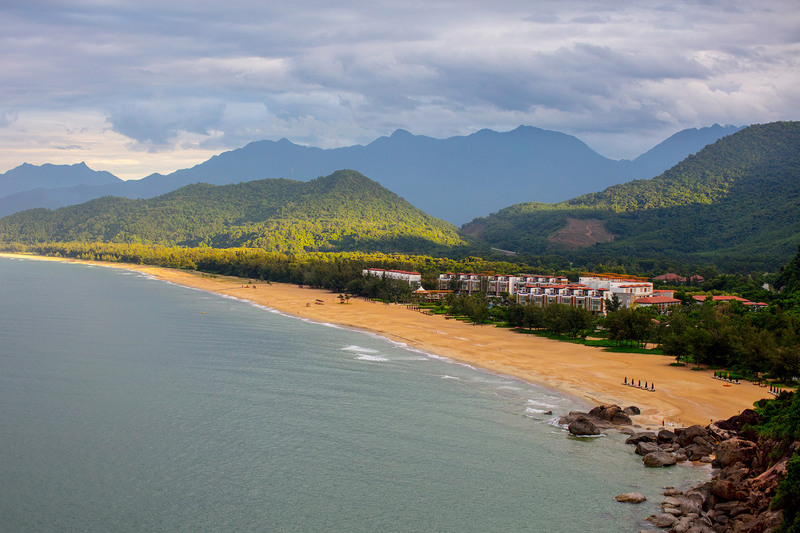 “Based on the feedback we received, everyone had a wonderful time,” said Calver, of the Taiwanese contingent, who stayed at Banyan Tree and Angsana Lăng Cô, where the presentation Gala Dinner was held on the resort’s beach. 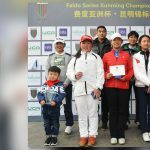 Fang Jia-huei had the distinction of returning the best gross score of 69 while Lee Shu-fen was the low female with an 80. The day before the MercedesTrophy Vietnam Final 2018, Mercedes-Benz Vietnam and its authorised dealer, An Du Autohaus, handed over two Mercedes E-200 cars to Laguna Lăng Cô. The luxury vehicles join the Laguna Lăng Cô fleet of high-end, chauffeur-driven cars offering a five-star experience to visitors during their stay. 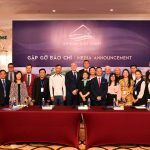 “After five years of operation with a host of milestones to celebrate, Laguna Lăng Cô continues to go from strength to strength as an ideal integrated holiday destination. 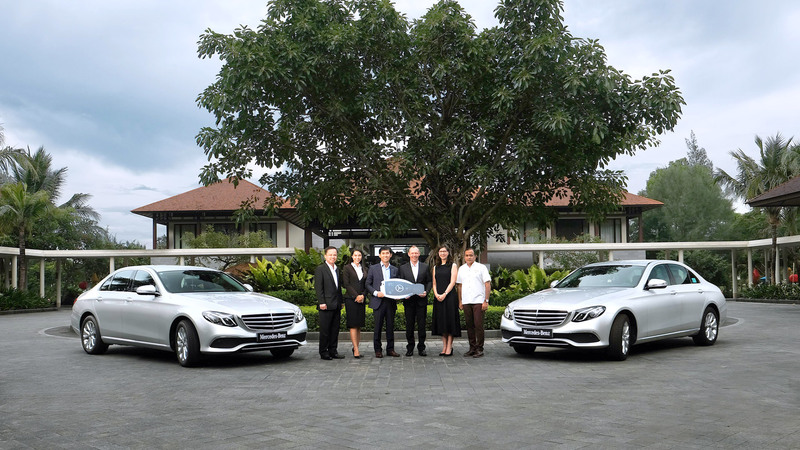 The partnership with Mercedes-Benz Vietnam is another wonderful step in our evolution and our goal of being recognised as the most luxurious resort in Vietnam,” said Gavin Herholdt, Managing Director of Laguna Lăng Cô.